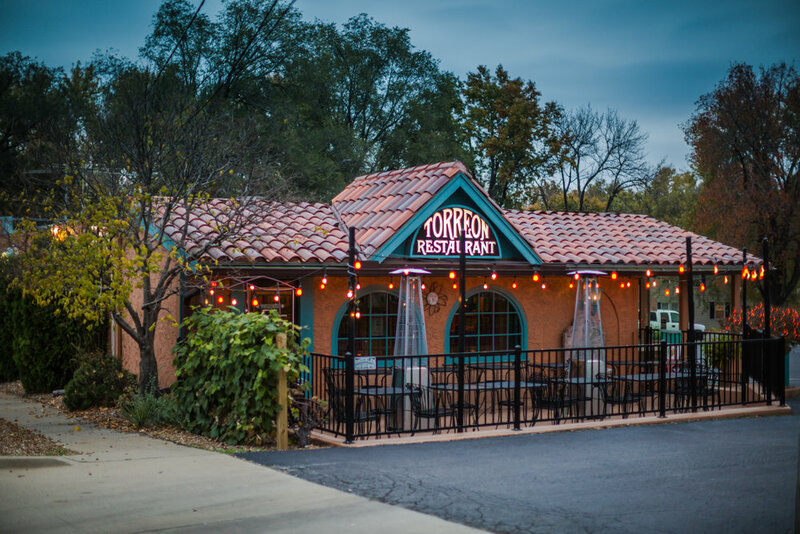 In 1960, Gus and Betty Ibarra introduced Mexican food to the city of Overland Park. It wasn’t long before this delicious cuisine became known and was an instant success. All five of the Ibarra children helped out in the restaurant, the youngest, Denice, took over thirty-five years ago. Both of her sons have grown up working in the restaurant as well. Her youngest son, Brice, does much of the work that keeps the restaurant going. “You have to love what you do and my family has always enjoyed the hard work of keeping a restaurant going.” We pray for another fifty-six years of success as we continue giving all of our customers the wonderful food, cocktails and personal touch we strive on. Jalapeno bean dip with two cheeses, onion and spices. Four imported yellow peppers hollowed out and stuffed with cheese and onion, wrapped in a special batter, deep fried and served with our spicy dip. Crisp corn tortilla chips with your choice of meat, topped with three cheeses, ripe olives, pico de gallo, sour cream and jalapeno peppers. Flour tortillas filled with pineapple, Monterey jack cheese, chives, pico de gallo, grilled, with a side of sour cream and guacamole. Crispy 9", open-faced tortilla, topped with four different cheese, chives and pico de gallo. Order two or more of the a la carte items and receive a complimentary side of rice, fideo or beans. Chunks of pork and pinto beans, sauteed to perfection in our special sauce and spices. Served with flour tortillas. Tender-bite-size chunks of pork, cooked in our own blend of chilies and spices. Served with flour tortillas. Served with rice or beans and soft drink. Soft corn tortilla, wrapped around an all beef hot dog and deep fried. Served on a bed of lettuce greens with black beans, cheese, pico de gallo, ripe olives, chives, tortilla strips and your choice of our spicy house, cilatro-rancho or tomatillo dressing. Lettuce greens, carrots, cheese, ripe olives, chives, pico de gallo with your choice of our spicy house, cilantro-rancho or tomatillo dressing. Four soft corn tortillas, filled with cheese and onion, rolled and topped with our famous red sauce and queso. Three flour tortillas, filled with beans, cheese, onions and salsa, folded and grilled. Three rolled, soft flour tortillas, filled with beans, cheese, salsa and onions topped with our red sauce, con queso and your choice of meat. Spicy, shredded pork, wrapped in an envelope of masa, rolled in corn husks, steamed and served with our red sauce, 4 per order. Green Chiles stuffed with cheese and onion, cooked in an egg batter, topped with our red sauce and queso. Three crisp corn tortillas, served open faced, with refried beans, your choice of meat, queso and topped with jalapenos. Three masa biquits filled with your choice of meat, refried beans, onion, lettuce, cheese, salsa and pico de gallo. Two enchiladas (cheese and onion), two tacos, one el toro, one tostada and one nacho. One tamale, one burrito, one enchilada (cheese and onion), and one nacho. Two enchiladas (cheese and onion), two tacos and one nacho. One tostada, one nacho, one enchilada (cheese and onion) and one taco. One enchilada (cheese and onion), one taco and one nacho. Homemade, deep fried, puffy light pastries served with warm honey and sugared cinnamon. Fried ice cream served in a crispy cinnamon shell, topped with chocolate syrup or honey, whipped cream and a cherry. We are the Original home of the "Fish Bowl" Margarita! No personal checks. We accept American Express, MasterCard, Discover and Visa. Parties must be complete to be seated. $1.00 off Signature Margaritas 5:00 - 6:30 p.m.